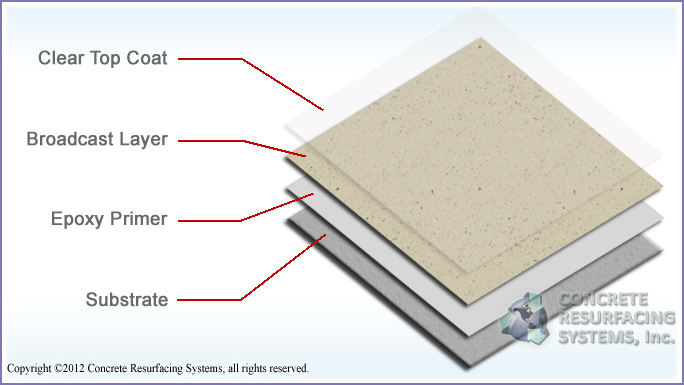 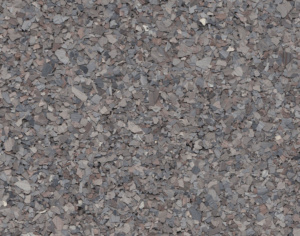 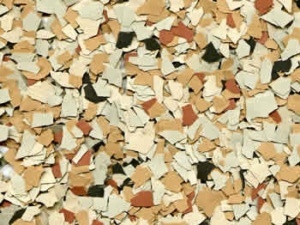 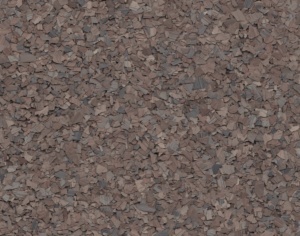 Epoxy flooring color flakes or chips make epoxy flooring decorative, practical and cost-effective. 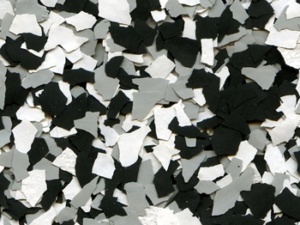 Flakes are made of water-based resin materials, organic materials and various pigments. 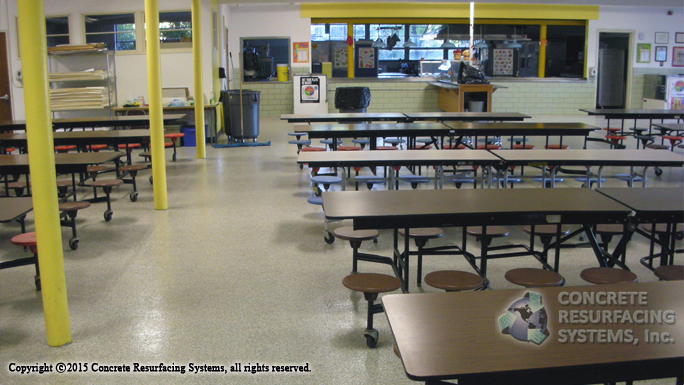 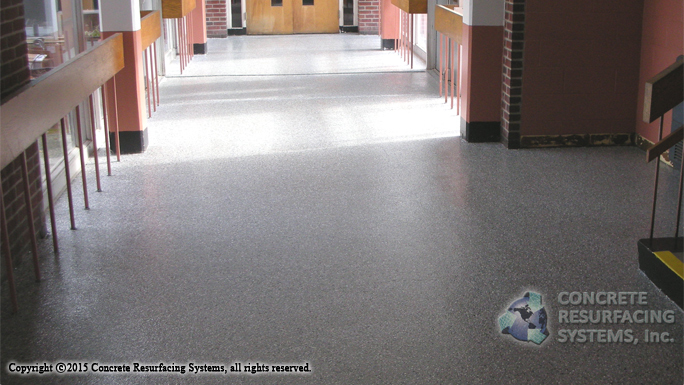 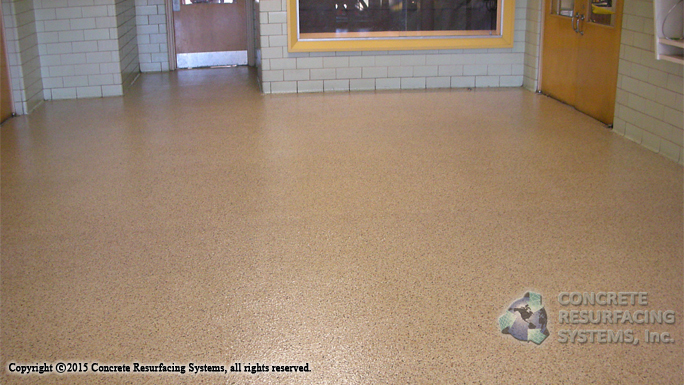 High-traffic areas, public spaces, municipal building, schools, hospitals — anywhere you need a durable, easy to maintain floor, we have a solution! 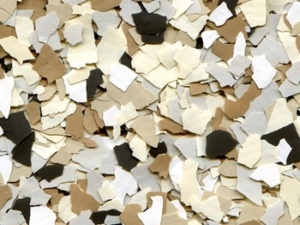 Paint Chip / color Flake Floors are seamless, stain resistant, anti-slip, and can be applied in a wide range of colors and styles. 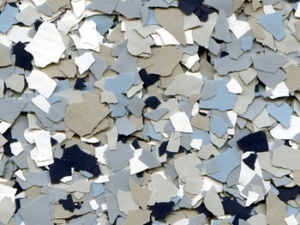 These integrally pigmented, brilliantly colored, random shape and size chips create infinite possibilities to achieve what ever appearance your resinous flooring needs are. 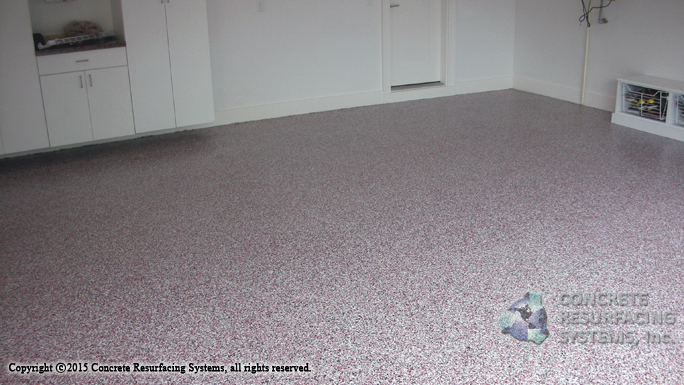 Residential garage floors, basements, pools, patios and decks are where we started! 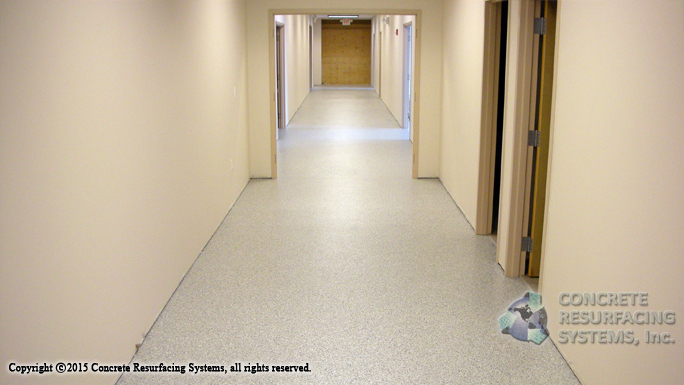 Whether it’s a 500-600 square foot garage, or 50,000′ industrial building, we have crews, the experience and the know-how to get the job done. 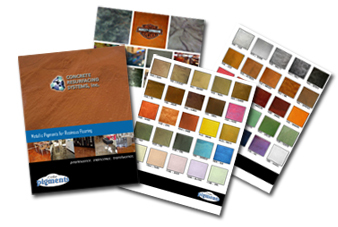 ColorFlakes™ Color Chart & Brochure.